In my previous post I discussed why cultural Christianity is struggling in North America while real Christianity is thriving. In this post I want to expand that line of thinking a bit more by discussing one of the reasons WHY there is such a difference between cultural Christianity and real Christianity. Many young adults with only a nominal connection to Christianity have watched as the concept of Christianity has been severely tested in recent years. Too many Protestant television evangelists became money hungry, and too many Catholic priests have molested children. People who have only a vague Christian commitment have distanced themselves from the church under these circumstances. Can we really blame the next generation for abandoning an institution that allows such things to happen? But is Christianity more than just an institution? The total number of people who indicate they are Christians has naturally dropped as individuals who were on the fringe no longer identify themselves as Christians. The result is a statistical oddity where fewer people think of themselves as Christians, though certain types of churches are rapidly growing. As the culture has changed, the less-robust form of Christianity has imploded. On the other hand, true Christianity, which focuses on a personal relationship with Jesus Christ rather than on man-made traditions, is thriving. Churches need to discover what makes some churches grow even though the culture is less Christian than before. Most church growth studies focus on mega-churches. While mega-churches can teach us how to do certain things, most churches are unable to do the types of projects or use the methods that mega-churches use. Therefore, we must find some smaller churches that are growing and learn what is causing them to grow. We need to study why small evangelical churches in Vermont are growing even though it is statistically the least religious state in America. We need to learn why churches in inner city areas are suddenly experiencing renewal and rebirth even as the community around them falls apart. Though we should never try to imitate what other churches do, because the context of each church is unique to that church, we can learn biblical principles and practical ideas from growing churches that we can adjust and modify to fit our own situations. There are many bright spots on the spiritual horizon and by asking the leaders of those smaller churches what biblical principles they are following to reach their changing culture, we can learn to shine the Light of Jesus brighter in more places. Even though there are bright spots of spiritual renewal on the horizon and the decline in Christianity may not be quite as sharp as statistics say, few Christian leaders in America would say that Christianity overall is growing. Something is obviously wrong with many churches. The problems lie mostly in the inability of the churches to connect with and retain the next generation. Postmodern young adults with only a nominal faith have wandered away from Christianity, and if the church does not do something about it, those young people probably will not come back. We should commit ourselves to learning what we can do to apply biblical principles to our changing culture and recapture the next generation. Real Christianity has the answers to life’s greatest questions. Real Christianity does change lives. Real Christianity is relevant to all cultures and all time frames and all generations. But we must learn how to extract real Christianity from cultural Christianity in order for the church to start growing again. I will write about that in future posts. 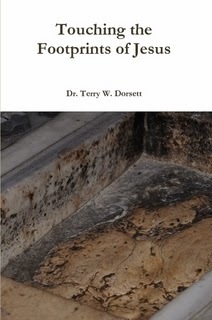 Adapted from Terry Dorsett’s book, Mission Possible: Reaching the Next Generation through the Small Church, published by CrossBooks, a division of Lifeway Christian Resources. There appears to be a discrepancy between the oﬃcial statistics on the decline of Christianity among the next generation and the spiritual realities many churches are experiencing. Though some churches are having a difficult time reaching the next generation, other churches are seeing great results. Many Christian leaders are realizing that real Christianity may not be in as much trouble as cultural Christianity. It appears that massive numbers of young adults are abandoning non-evangelical churches and being drawn to evangelical ones. Stetzer concludes, “Listening to some commentators, you might conclude that young adults had left the church. But that is not what the data tells us.” Many young adults who were not completely committed to the Christian faith have stopped identifying themselves as Christians. At the same time, a smaller number of young adults have become more committed to their faith, but they are expressing it through involvement in churches that are more evangelical in theology. This results in a statistical decline overall but a much more passionate faith for those who remain. Those of you who follow my blog regularly know that today my daughter will be married. After months of planning and hard work, the BIG day is finally here. Honestly, I am not sure I am really ready for it. Oh, do not get me wrong. My daughter is ready for it. Her fiance, a fine Christian young man, is ready for it. They are looking forward to an exciting adventure of attending seminary in San Francisco at Golden Gate Baptist Theological Seminary and then pursuing missionary service somewhere after they complete seminary. They are quite ready to begin their big adventure. They are very much in love. They are earnestly seeking to follow the Master's plan for their lives. Very few young couples are as ready for marriage as they are. I am just not sure I am ready to let go. My daughter and I have always been close. We share many traits. The thought of turning her lose and sending her out into the world is painful. I have tried not to dwell on it too much these past few weeks. But I suppose I can no longer avoid thinking about it, since it all happens today. But I know that I put her into the hands of a fine husband who will love her, protect her and care for her. I also know that I release her into the arms of another Father, who is far stronger, for more powerful and even more loving than I am. I know they are going to have a great life. I know they are going to accomplish significant things for the Lord. I know they will be part of a generation that will make the world a better place. My mind knows all this, but my heart still wants my little girl to sit with me on the couch and talk about her day. Those days are gone. I know it. But I do not think I like it. I suppose in time, I will get used to it. Logan, take care of my baby girl. She's all yours now. I remember the day she was born. She was our first child and she was already two weeks overdue. It seemed like she would never come. Many hours of labor later, the doctor said that they needed to do an emergency c-section. A hundred scary thoughts went through our minds. But an hour later after a successful c-section, I held my healthy little girl in my arms. Yes, I cried. Real men cry when they hold one of their children for the first time. The nurse wrote, "Good father-daughter bonding" on her chart. And I cried when she went off to kindergarten. And I cried when she was baptized. I still have the picture of that moment with my special treasures. And I cried when she graduated from high school. And I cried from South Carolina all the way to Pennsylvania when I dropped her off at college. And I cried two weeks ago when she graduated from college. I cried yesterday when I took a long walk and thought about how much I love her. And yes, I am even crying now as I write this post. Tomorrow, she will be married. And I am sure I will cry. But that is okay because real men cry at special moments in the lives of their children. Weddings are one of the most special moments of all. So if you are going to be at the wedding tomorrow, bring a box of tissues. In my previous post, I mentioned that though many churches are struggling to grow due to not knowing how to relate to postmodernists in our current culture, there are many bright spots on the horizon that show that growth is possible even in a less than hospitable culture. In this post I will share one of those bright spots. The Green Mountain Baptist Association is an evangelical mission organization ministering in Vermont and aﬃliated with the Southern Baptist Convention. Founded in 1982, the association is dedicated to strengthening existing evangelical churches in Vermont and starting new Baptist churches in towns that are underserved spiritually. According to a December 2009 survey published in USA Today, Vermont is the least-religious state in America, with the lowest rate of church attendance in the nation. Despite these less-than-stellar religious statistics, from 2001 to 2010, the Green Mountain Baptist Association grew from seventeen churches to thirty-seven churches, and attendance at Sunday morning worship services grew from just under nine hundred to over two thousand. Though statistically Vermont’s Christian community is in decline, the Green Mountain Baptist Association is rapidly growing. Some disagreement exists about why Vermont is statistically the least-churched state in America yet still has such rapid growth in its evangelical community. The prevailing view of many evangelical Christian leaders in Vermont is that a large number of people who have called themselves Christians in the past did so out of tradition or habit, but many of those people never truly had a personal commitment to following Christ in their daily lives. This does not mean they were atheists; it just means that their Christianity was more a vague concept or in some cases was more akin to membership in a social club than having a deep personal faith in God. While such a commitment to Christianity has some social merit, it has signiﬁcant spiritual weaknesses. The primary weakness with this less personal form of Christianity is that when it is tested, it will almost always collapse. This anomaly between the oﬃcial statistics about Christianity in Vermont and the actual experience of evangelicals who minister in the state is proof that while some churches may be struggling, other churches are growing. If this is true in Vermont, it also may be true across the rest of the nation. Therefore, real Christianity may not be in as much trouble as cultural Christianity. Churches that are not growing need to learn from those that are and then apply what they learn to their context. Churches should not just imitate what other churches are doing, but they should learn what is working and then adjust those ideas to fit their own context. In the past three years, a number of articles have been published about the decline of Christianity in America. CNN published the results of a March 9, 2009, poll that concluded, “America is a less Christian nation than it was 20 years ago.” The article went on to explain, “Seventy-ﬁve percent of Americans call themselves Christian, according to the American Religious Identiﬁcation Survey from Trinity College in Hartford, Connecticut. In 1990, the ﬁgure was 86 percent.” That is a drop of more than 10 percent in only twenty years. Ed Stetzer, president of Lifeway Research, has written extensively about this issue as well. Referring to the decreasing number of young believers, Stetzer says, “This is sobering news that the church needs to change the way it does ministry.” There is no arguing that the statistics reveal that fewer young adults identify with the Christian religion now than ever before. If such trends continue unchecked, the organized Christian church will soon find itself in serious trouble. Though the numbers reveal a decline of Christianity at the national level, this does not mean that every church in every town or area is facing imminent closure. A number of bright spots on the horizon demonstrate that churches can grow in the current spiritual climate. Some of the most-encouraging examples are found in the most unlikely places. Vermont is a great example of a place where the next generation is being reached despite all the statistics that make it seem improbable. In my next post, I will share examples of what God is doing in Vermont that seem to defy all the national trends. What Happened to Grandpa’s Town? In the stereotypical small American community, everyone knows everyone, and people have many interpersonal connections through school, church, and community organizations. In those communities, it is common for many people to be related by blood or marriage to a signiﬁcant portion of the local population. All the natives know the unoﬃcial way of how things get done, which usually has a lot more to do with who a person knows than oﬃcial policies and procedures. Small communities are often more conservative than urban areas. Small communities are normally more respectful of religion in general, though not everyone in the community will go to church. Such communities are often more Caucasian than urban areas, report lower crime rates, and frequently have a lower educational level than the national average. While many aspects of that stereotype were probably accurate in the past, small American communities are experiencing rapid change today. Though the old stereotypes of small towns and rural areas can still be found, they are increasingly the minority culture in many areas. As well-educated and socially active families have grown frustrated with urban life and disenchanted with suburban sprawl, many are moving to small towns and rural areas. These newcomers often have a postmodern worldview. (For a brief description of postmodernism, click here.) Sometimes people who grew up in a small town or rural area and later moved to a city will move back to their hometowns and bring with them newly acquired postmodern ideas. But more often, postmodern people who move to a less-populated area are urbanites seeking to escape all the problems of urban living. With the advent of computer and Internet technology, urbanites can now live anywhere and retain the same income level that previously could be found only in the city. But it is not only newcomers who are changing the nature of small communities. The same technology that made it possible for outsiders to move in has also brought the outside world to small towns and rural communities. Teenagers from small towns and rural areas can now be just as connected and up-to-date on music, clothing styles, and philosophical concepts as their urban counterparts. Adults from rural and small towns are now exposed to more progressive ideas and concepts than ever before, and some of them are buying into these new ideas. This has radically changed how people in small towns and rural areas think about life. Churches, and other community organizations, need to understand these changes in order to continue to serve their communities. This does not mean they have to agree with all these changes, or even accept the changes as “good.” But the changes must be acknowledged and taken into account if churches and community organizations are to remain connected to their communities. Evangelism: Should It Be Attractional or Missional? In my previous post I used two terms that some of my readers may not be familiar with, attractional evangelism and missional evangelism. Though the two types of evangelism overlap in some ways, in general, attractional evangelism is an eﬀort to attract people to the church and its programs, events, and ministries. Once people show up, the church makes an eﬀort to evangelize them. In contrast, missional evangelism is primarily an eﬀort to go outside the four walls of the facility and be on a mission to do evangelism in the community. Missional churches focusing on that style of evangelism are often involved in service projects in the community or in civic organizations as a way to connect with and evangelize non-Christians. Attractional evangelism is often event or program driven, whereas missional evangelism is often lifestyle or relationship driven. Though some evangelism experts tend to promote one way as being better than the other, in reality, it should not be either/or; it should be both/and. Moving beyond the walls of the church through missional involvement in the community is very important. However, since the very nature of the church is to gather people together for worship, prayer, fellowship, and teaching, at some point the previously unchurched have to be gathered together for the church to be able to consider their evangelism efforts eﬀective. Whether that gathering is held in a house, a Gothic cathedral, a small family chapel, or a mega-church campus, the principle of Hebrews 10:25 remains the same: “Let us not give up meeting together, as some are in the habit of doing, but let us encourage one another—and all the more as you see the Day approaching” (NIV). Small churches should desire to use both missional and attractional evangelism to reach their communities for Christ. These two philosophical views on evangelism are not contradictory to each other. My next few posts will reveal practical ways that churches of any size can blend the two types of evangelism to eﬀectively reach their changing communities. 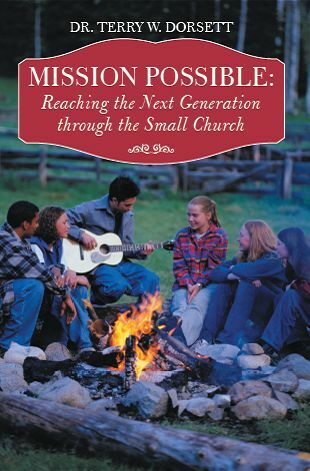 Adapted from my book, Mission Possible: Reaching the Next Generation through the Small Church, which can be purchased at thousands of online retailers or directly from the author. After reading some of the more popular books on postmodern evangelism and church growth, leaders of small churches may be under the false impression they must toss out everything they practice and believe in and ﬁnd some radical new way of doing church before they can reach the next generation. While many churches really do need to examine some of their methods and programs, they do not need to throw out everything and start over. Some well thought out adjustments in four key areas will allow small churches to reach out to the next generation effectively. The first three areas to consider adjustments in are: helping the church regain its position as the social center of the community; helping the church regain its position as the ceremonial center of the community; and using the church’s facilities as an outreach tool. Though these three areas have been historically strong in most churches, they have begun to slip in eﬀectiveness as the culture has become more secular. Church leaders need to consider any changes that might help them reverse the decline their churches may have experienced in these three areas. Over the course of my next several posts, I will give suggestions for what kind of changes church leaders can think about and considers in these three areas. I can already see some of my more “cutting edge” friends rolling their eyes and saying, “That is all just attractional evangelism and it will not be enough.” (If that term is unfamiliar, do not worry—I will explain what it means in my next post). I am well aware that the three areas mentioned above attractional in nature and that it those changes alone will not be enough to reach the next generation. But remember, I said there were FOUR key areas that we need to consider changes in. To reach significant numbers of postmoderns we must also deal with the fourth area of change, which is philosophical. Those philosophical changes have a number of practical applications that must also be discussed and considered if small churches want to reach the next generation. This fourth area will require a greater degree of change for churches and will therefore entail greater struggle. Some people refer to these philosophical changes, and their practical applications, as “missional evangelism.” (If that term is not familiar to you, do not worry. I will explain it in tomorrow’s post as well). The reason I break the four key areas into two categories and deal with them separately is because church leaders often need to work their way up to more challenging philosophical ideas. Some churches may choose not to implement the ideas from the fourth area at all. Though that may result in reaching fewer postmodern people, if the church implements at least some of the ideas of the ﬁrst three areas, they will be reaching some postmodern people. Reaching some is better than reaching none, and sometimes churches can endure only so much change at one time. So I would rather break up the ideas and present them one at a time and gain some traction than lob the entire load at leaders at one time and overwhelm them. Read my next few posts with a heart that is seeking to hear from the Lord. Then prayerfully implement some of the ideas from the ﬁrst few posts. As the Lord leads, consider how the ideas from the second set of posts might be implemented as well. Keep in mind that the goal is to bring glory to God by sharing the Christian faith with the changing community around our churches without abandoning biblical principles in the process. It can be a ﬁne line. It will take discernment, prayer, and a deep reliance on the leading of the Holy Spirit, but it can be done. I recently wrote an article about how Grandpa's Church is Struggling. The article talks about how churches are rapidly losing their young people. The article seems to be getting a lot of attention on the web. I followed that article up with one on Understanding Postmodernism, which can be a complicated philosophical worldview to grasp (even by those who hold to it). Then I connected those two articles with a third, which explained the link between Postmodernism and Age. That article helped readers understand that the reason Grandpa's church is struggling is because most of the young adults in the community have bought into postmodernism and most churches do not understand what that is or how to communicate with those who hold to that worldview. All of these articles have led some of my readers to conclude that postmodern people are not interested in being spiritual. However, I think it is important to point out that contrary to what many Christians think, people with a postmodern worldview often consider themselves to be quite spiritual. However, they tend to pick and choose the pieces of spirituality they like from a variety of sources. They will not accept the church’s traditional brand of spirituality without personal exploration, experiences, and relationships. Since so many traditional evangelical churches expect blanket acceptance, postmodern young people have struggled to remain involved in traditional evangelical churches in recent years. For several years I have known Li-Jin (name changed for privacy reasons), who is an exceptionally bright student at one of the ﬁnest colleges in New England. One of Li-Jin’s parents is a Christian; the other is a Buddhist. Li-Jin often refers to himself as a Christian Buddhist. After I had extensive conversations with Li-Jin, it was clear he had spent a considerable amount of time reading books by both Christian and Buddhist authors and melded certain aspects of each religion into his own personal belief system. Though parts of each religion clearly contradict the other and the two worldviews are incompatible as an integrated faith system, in Li-Jin’s mind, this melded religion makes sense. Li-Jin essentially created his own religion—his personal brand of spiritual truth. Not only did he get to pick the parts of each religion that he liked best, but he was also able to avoid disappointing either of his parents. This eclectic kind of spirituality, in which pieces of diﬀerent religions are combined into a new belief system, is becoming quite common among members of the next generation. As one can imagine, small churches will have to work harder to reach people like Li-Jin. But they can be reached! In my next post, I will explain how! Four years ago my wife and I dropped our daughter off at a college over 1,000 miles away from our home. Before leaving we helped her get situated into her dorm room, which included numerous trips to Walmart. We gave her more hugs than we could count, and then we drove away. For her, it was the beginning of an exciting four year adventure, which culminates TODAY as she graduates with a degree in education. She has met many new friends. She has taken mission trips over spring break to Ecuador, Honduras, and Greece. She met the young man that will become her husband in a few weeks. She has learned, studied and slowly transformed into a wonderful young woman, whom we are very proud of. For my wife and I, it was the beginning of a long, and sometimes painful process, of letting our angel go. We started crying as drove away from the college four years ago, and honestly, cried for the next 500 miles. When we returned to our home in Vermont, there was an empty place in our lives that our sweet girl used to fill each and every day. As the years went by, we adjusted to that empty place, but we have never really grown to like it. Today she will graduate from college. I have the honor of taking part in the commencement exercises by giving the benediction prayer. Later this month she will be married. I have the honor of leading a portion of the ceremony, along with the groom's father, who is also a pastor. Next month she and her new husband will move all the way across the country for him to attend graduate school in preparation for missionary service. I know it is a great school, as I graduated from there as well. I know she is going to have a good life, but it still hurts to let go. But we entrust her into the arms of Christ and we know she is safe there. If you have little children in your home, enjoy each and every moment. If you have teens in your home, love them even when they drive you crazy. If you have college students in your family, I pray you will learn to live with the empty place in your life, but I regret to say that it will not be easy. But if we teach them to love the Lord and to love other people, then we have taught them well. Now, as painful as it is, we must let them soar with wings of eagles to all the places the Lord will take them. God's Littlest Angels is an orphanage in Haiti whose buildings were destroyed during the terrible earthquake in 2010. The church where I am an elder is sending a team of 17 people to Haiti this summer to assist with the rebuilding of the facility. My youngest son Jonas and I are part of that team. We have been working for months to raise a substantial amount of money to make the project possible. A couple of weeks ago my oldest son Taylor, who has been away at college, felt burdened by the Lord to join the team as well. Since Taylor joined the team late, his fundraising challenge is significant. In an effort to help him, I posted a note about the project on my Facebook wall. Several friends responded with donations to help Taylor take this trip. Though I appreciate each and every gift, one stands out as being particularly meaningful. It came from a person I will call Mrs. DB. Mrs. DB, and her husband, lead a ministry that touches one of America's most forgotten mission fields, the homeless. Though Mrs. DB and her husband are quite gifted and could easily serve a "traditional" church with all the staff, recognition and salary that goes with it, their calling to serve the homeless supersedes any desire to have a "traditional" ministry career. They serve at great sacrifice and live a very modest lifestyle. Recently Mrs. DB did a little work on the side and received a small stipend for it. 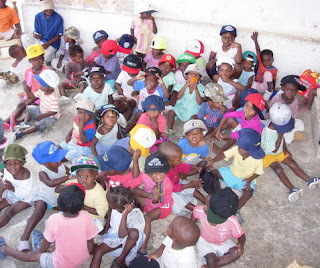 Though her own personal needs are great, and the needs of her own ministry sometimes seem overwhelming, she decided to send part of that small stipend to help my son take a mission trip to Haiti. I was touched that she would give, knowing her situation. Mrs. DB is a living example of what it means to have a spirit of generosity. She gives of herself. She gives of her spirit. She gives of her meager income. She is a giving person. I think many of us who have a more robust income and all the benefits that come with it could learn a lesson about generosity from Mrs. DB.